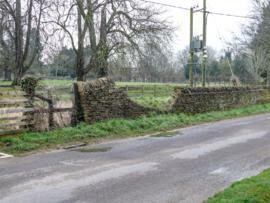 This old wall belonging to Weald Manor is in Weald Street. After days of frost and thaw and rain, this section fell down on February 12th 2013. It's repair was completed by April 15th.